Create animated slideshow gallery with professional flash templates. Publish and share your flash photo gallery on the Web in minutes. No coding needed! What Flash Slideshow Maker can do? 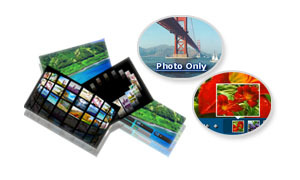 Convert your digital photo collection to professional slideshow galleries with templates. Make dynamic Flash banners, Flash intros and put them on your web sites in easy steps. Build wonderful XML photo slideshows and tell your stories with background audio. Let your photos play on Facebook, Wordpress, Blogger or your web site. Idea images presentation tool for photographies. Flash Slideshow Maker Professional is a photo slideshow maker for Windows users to build animated photo slideshow gallery with their static digital photos. It transforms your digital photos to Macromedia Flash file format ( SWF ). This Windows slides maker can create standalone Flash SWF files and advanced XML driven Flash SWFs. You can quickly and easily generate creative slideshows with more than 60 well-designed Flash templates, and make stunning Flash banner, flash portfilio like a guru. Flash Slideshow Maker for Mac is specially designed for Mac users to make slideshow gallery, stunning flash picture slideshow, eye-catching Flash banners and Flash intros. It converts your digital photos into XML+SWF slideshows which you can embed into your own blogs or websites.You can publish your Flash photo gallery on the web with dynamic transition effects and professional flash decorations in minutes. No Flash ActionScript coding required. Flash Slide show Maker is easy to use with friendly interface. You can simply drag & drop your photos into the slides maker window, you can drag and drop to re-arrange the photo order as you would like them displayed in the slide show. Flash Slideshow Maker Professional provides basic image options like cropping, re-sizing, rotating; You can also add tiltes, HTML description, stylish text, ready-to-use artclips or URL links to your photo slides; In addition, the slide show creator includes advanced flash transition effects, Pan and Zoom effects(Ken Burns effects), timing control. Download and Make Your Own Flash Now! Flash Slide show Maker is a template based Flash slideshow creator. Flash Slideshow Maker for Mac 1.2.0 integrates more than 60 preset Flash templates, the Windows version Flash Slideshow Maker Professional 5.10 includes more than 100 Flash templates. We're constantly developing new slideshow templates inspired from our users' suggestions and the quality gallery collections that we've seen around. We provide customers with customizable photo slideshow templates. It is so easy to edit a Flash template, you do not have to acquire any coding skills. The use of the property panel is straight-forward, you can preview the change within the slideshow maker instantly before publishing it. 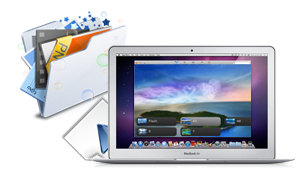 Flash Slide show Maker will save the Flash picture slideshows to the Output Folder on your hard disk. A basic theme template on the Windows slideshow maker will create a standable SWF file with photos and background music if any combined. Advanced themes on the Windows slideshow maker and all themes on the Mac slideshow maker are XML driven, they will create a set of files, typically a SWF file, a XML file and some image files. Along with the SWF files, the flash slideshow creator will automatically generate sample HTML file which provides you with the flash object embed code. You can use a text editor or your website builder software to open the sample HTML page and get the flash embed code. You can send the output Flash photo gallery to your friends through email, embed to your blogs and upload to your own websites, etc.